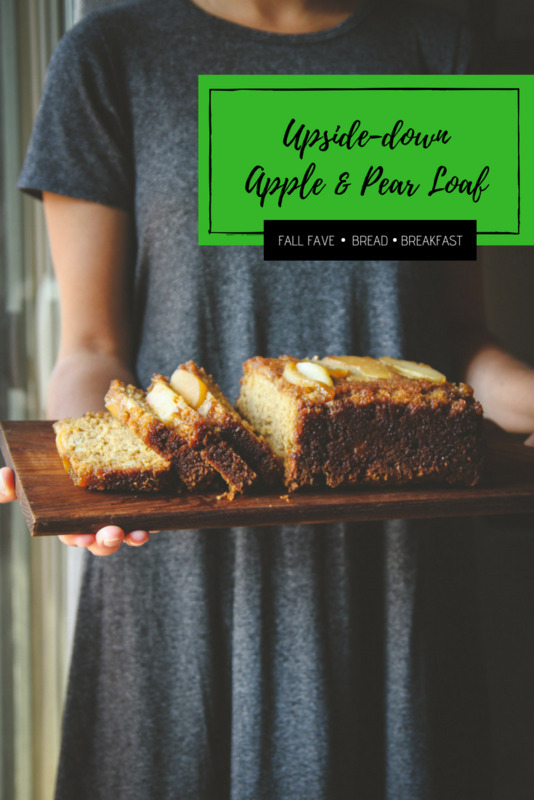 Having a slice of this upside down apple and pear loaf is like having a delicious slice of fall! 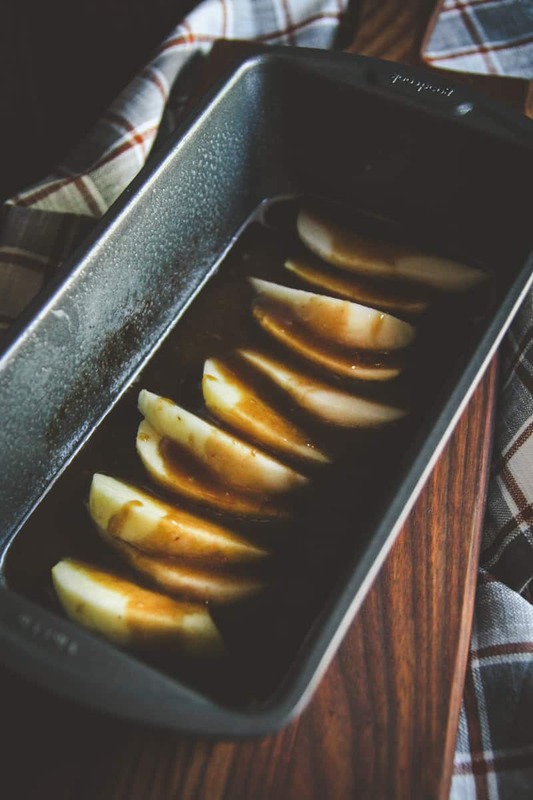 The apples and pears caramelize by baking on the bottom of the loaf pan with a caramel sauce, and then being flipped over when cooled, and all the warming spices combine to make this one of the best loaf recipes I have ever made and had! 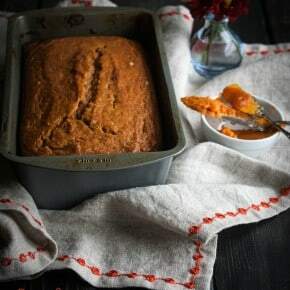 Ok, that last sentence, I’m not sure if it really conveys what I was trying to say: basically there’s this awesome almost crunchy caramel-sugar layer that forms because this loaf is bake upside down, it’s really good!! 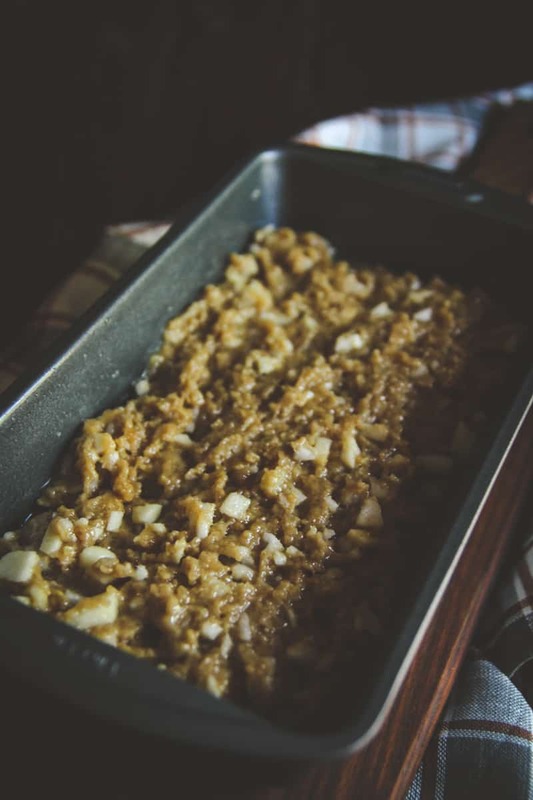 It’s also not a dry loaf because pieces of apple and pear are cooked into the batter, so it has subtle fruit flavors throughout! Are you a ‘loaf’ person? I didn’t used to be, but a few years ago my sisters were raving about a pumpkin loaf which I recreated, and absolutely fell in love with loaves after that. Now, every time I see them at a coffee shop, I get a slice because I love trying different flavors! 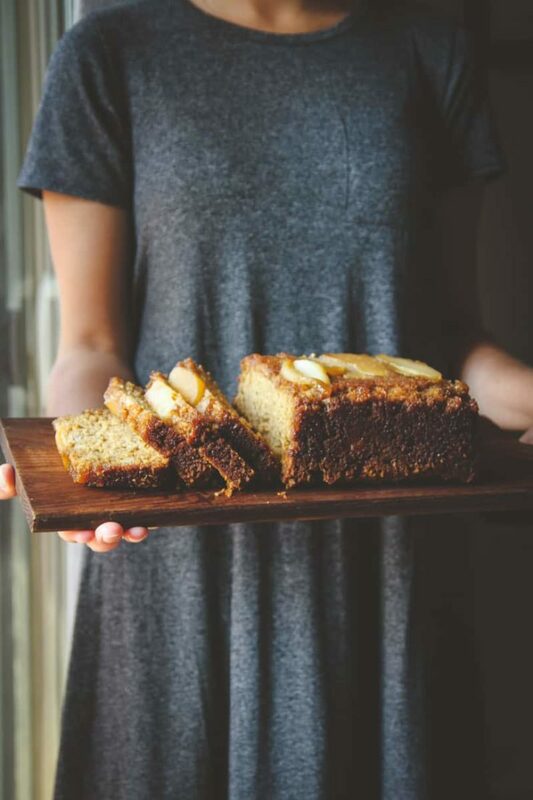 I made this upside down apple and pear loaf for the first time when we went to a housewarming party, and I got a sweet text from the host (Nick’s cousin and his new wife who is a total sweetheart) saying that it had been devoured and there were only mere crumbs left and another text asking for the recipe from guests. I’d count that as a huge success. 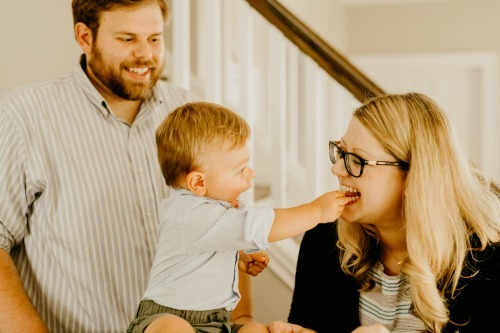 This coming weekend we’re having Ben’s baptism and having family and friends stay over, so I’m definitely making this loaf to have for either breakfast along side a nice cup of coffee, or for dessert. 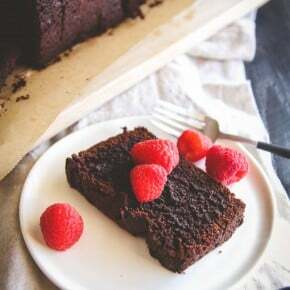 I love that one can have a loaf for breakfast or dessert, so versatile! 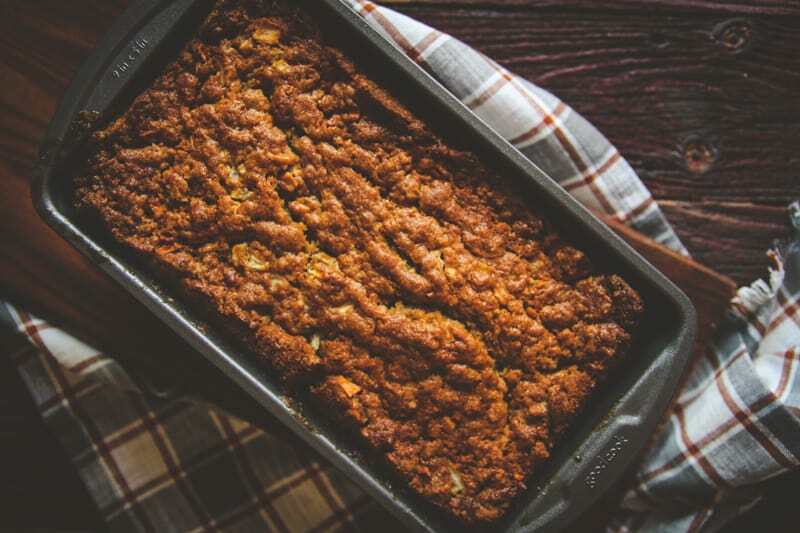 My old loaf pan I had was literally rusted through – how does that even happen? – so I just got this loaf pan on Amazon and have been loving it! 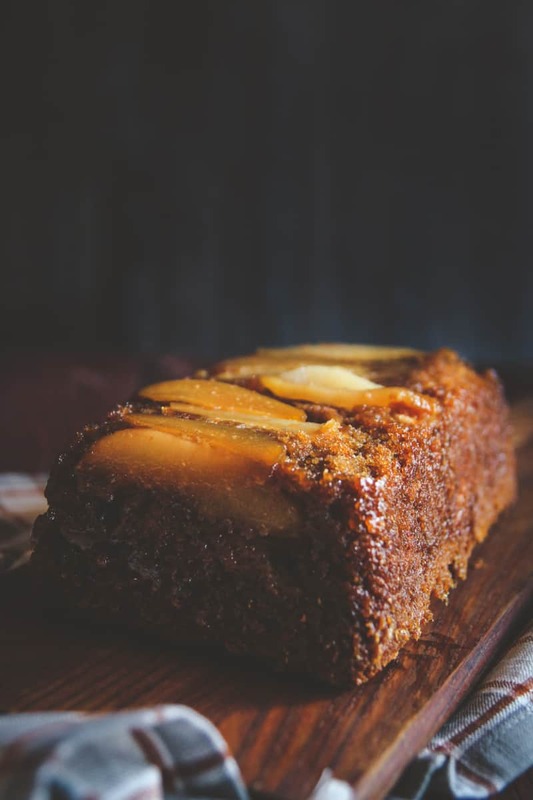 What I love about this upside down apple and pear loaf is that you can slice it and cut each slice in half or into thirds, so it’s a really great party recipe, hope you enjoy. Spray a nonstick loaf pan (9.25 x 5.25) with cooking spray and set aside. In a small saucepan melt butter, brown sugar and fresh grated ginger over medium-high heat, stirring constantly until the mixture is combined and resembles a caramel sauce and the edges start to bubble. Remove from heat. Pour 1/2 of the sauce from the pot into the bottom of the prepared loaf pan. 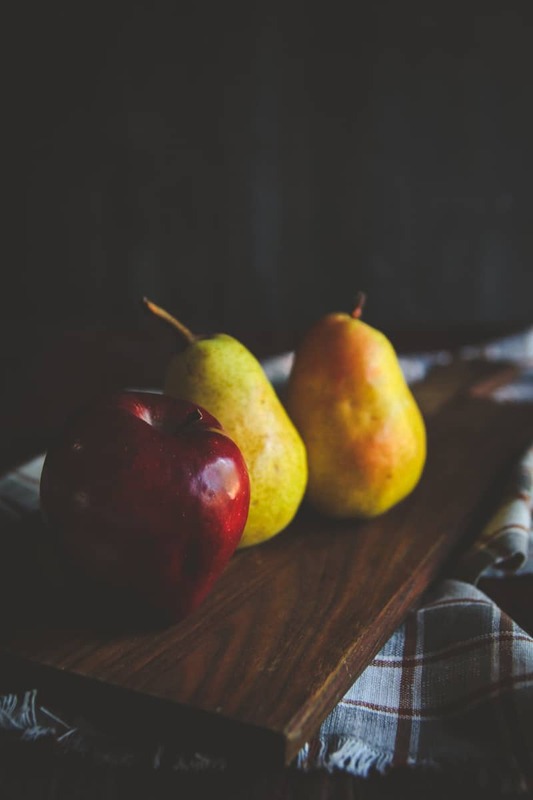 Lay alternating slices of apples and pears along the center/bottom of the loaf pan, on top of the sauce. Then pour remaining 1/2 sauce on top of the pear and apple slices. In a large bowl combine flour, cinnamon, baking soda, baking powder, brown sugar and granulated sugar. Stir a few times to combine all the dry ingredients. In a separate bowl, add eggs, vegetable oil and vanilla and stir until the eggs are combined with the oil, then pour into the dry mixture and combine. Lastly, add the small apple and pear pieces to the batter and stir. Pour batter into the loaf pan and bake for 50 minutes, or until a toothpick comes out of the center mostly clean. I am officially hungry now! 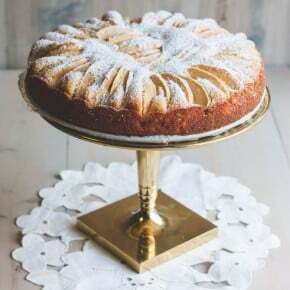 I have been waiting for October to break out fall baking days, and now all I want to do is make this cake, pour a cup of coffee and enjoy! Thank you so for your lovely comment Denise! This loaf is what really got me in the fall baking mood. I have made it several times and it just seems like my go-to fall dish for bringing to parties…or for with that precious cup of coffee! Thank you so much girl, this one was definitely a winner! can you just use a prepared caramel sauce (I hate making caramel and it always burns or does not turn out for me). 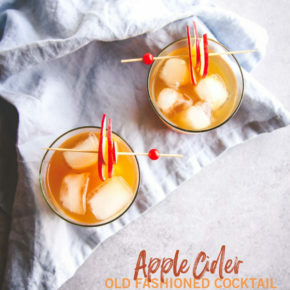 If so, how much should be used for this recipe? Also, I have always heard to remove the upside down cakes from the pan right after they come out of the oven so the sugars don’t harden and stick tot he bottom of the pan. Is this true in your experience? We LOVE that you made your own caramel for this. We prefer to make our own as well whenever a recipe calls for it. The cake looks awesome, definitely trying it!